When James Bond is being driven through Istanbul from his hotel, the Krystal Palas to meet with Darko Kerim for the first time, he looks at the scenery around him, which he feels is marred somewhat. 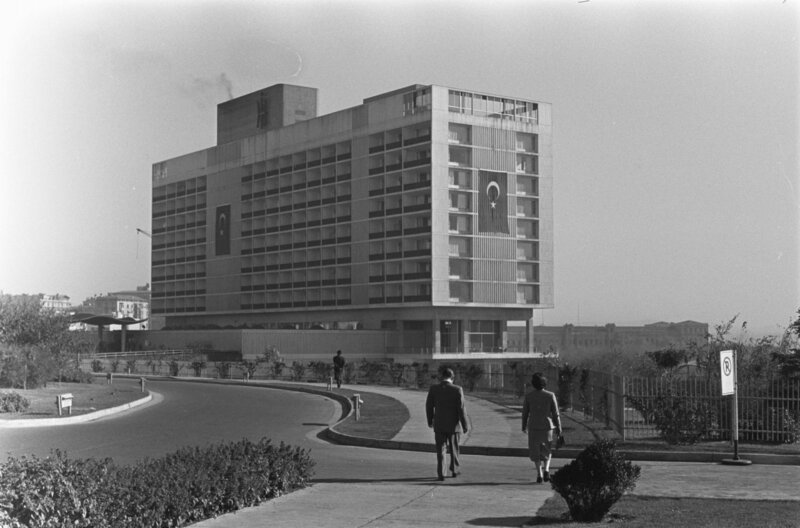 At the time of Ian Fleming’s writing, the Hilton Istanbul was new, having opened in 1955. Fleming had stayed there in that opening year, when he traveled to Istanbul as part of a delegation for an Interpol conference. It was a stay in which Fleming witnessed mob violence first hand. Exterior view of the Istanbul Hilton shortly after opening. 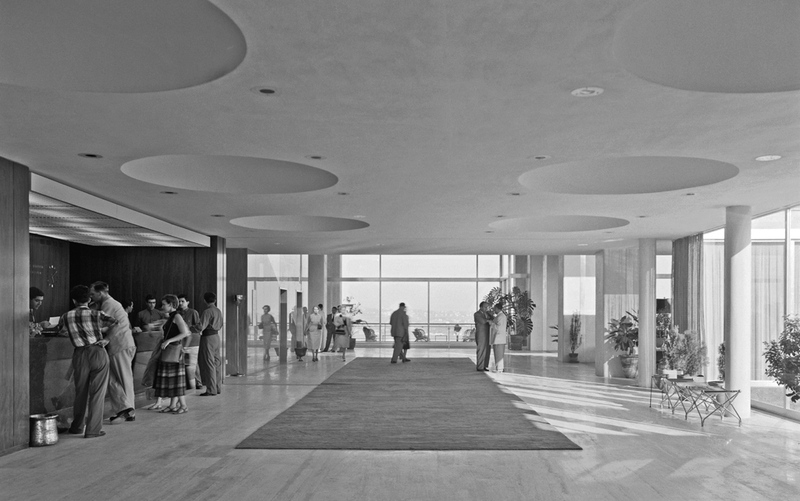 Front Desk/Lobby of Istanbul Hilton in 1955.